Matthew Banks, former Sentinel Business Awards Apprentice of the Year, is now a fully qualified Automotive Technician and can been seen here receiving his IMI certification outside the workshop at XJK in Stoke on Trent, where he has received all of his hands on and Jaguar training while working for this well known Jaguar specialist. 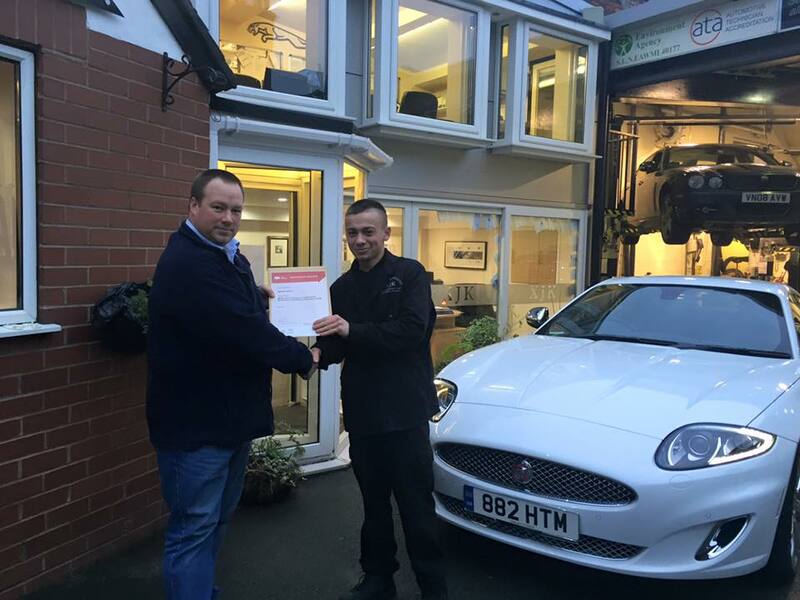 Well done Mat, from everyone at XJK Jaguar – staff and customers! Next year Mat will be going to Jaguar for training to become a Master Jaguar Technician.